Join the excitement of riding through the vast scenery of the Wyoming Mountains with Jackson Hole Outfitters. 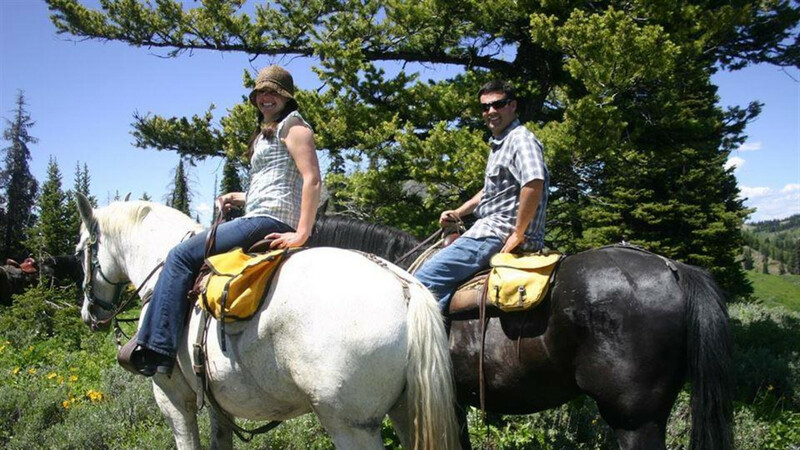 Horseback riding is the best way to view the beautiful Greys River area. Riders often see mule deer, elk, and the occasional moose in their natural habitat on these rides. There are numerous trails that accommodate riders with all levels of experience from beginner to the most advanced. We will match you with a good horse and head out on the trail. All of our trail rides are customized to each family or group avoiding the long head to tail trail rides. Our experienced guides are knowledgeable and will make sure you don’t miss points of interest and are glad to answer any questions you may have. Choose from our Half Day Ride, Full Day Ride or Extreme Full Day Rides. A Steak Dinner or Overnight Camping can also be added to your adventure for an additional fee. 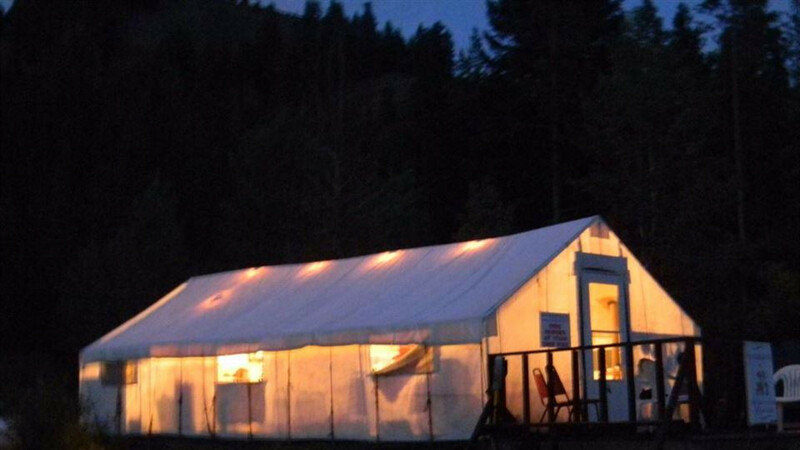 Dinner and camping is offered at our first rate camp which offers heated sleeping tents on wooden platforms, a cozy cook tent as well as shower and bathroom facilities and all necessary bedding. Fishing the Blue Ribbon waters of the Greys River for native Cutthroat trout during your overnight stay with us is also an option. Rides are offered 7 days a week from June 10 through Labor Day.